For years we have been thrilled to share Rachel Ignotofsky's artwork featuring the incomparable Grace Hopper. 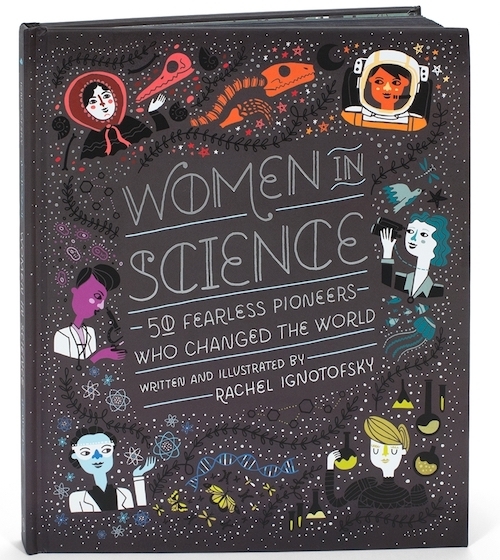 But Rachel celebrates MANY fearless female pioneers and she features 50 of them in her book Women In Science. Her New York Times best selling book, Women in Science highlights the contributions of 50 notable women to the fields of science, technology, engineering, and mathematics (STEM) from the ancient to the modern world. Perfect not just for #WomensHistoryMonth, but all year round! See examples from the book on her website. From physicist and mathematician Katherine Johnson to Navy Admiral and computer scientist - Grace Hopper to physicist and chemist Marie Curie - learn about amazing women who are pioneers in STEM! And for kids of all ages - she's got a Women in Science puzzle! Plus in the Free Downloads section of her website you will find more science-related activities for young minds.